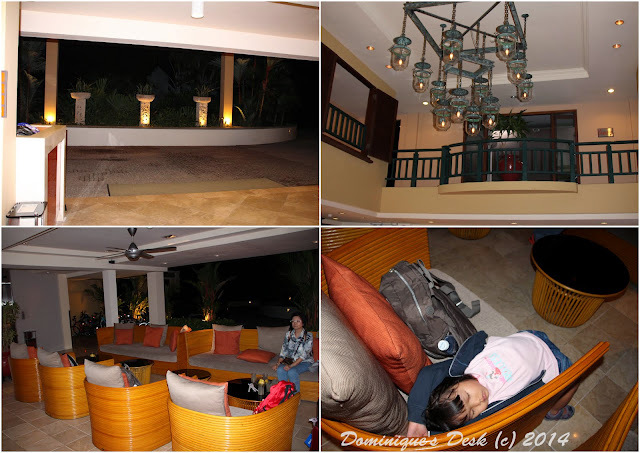 It was a weekend of fun filled activities as we were invited for a 3 days 2 nights weekend stay at Angsana Bintan. The boys were hyped and eagerly packed their bags when they heard that we were taking off this weekend by ferry. 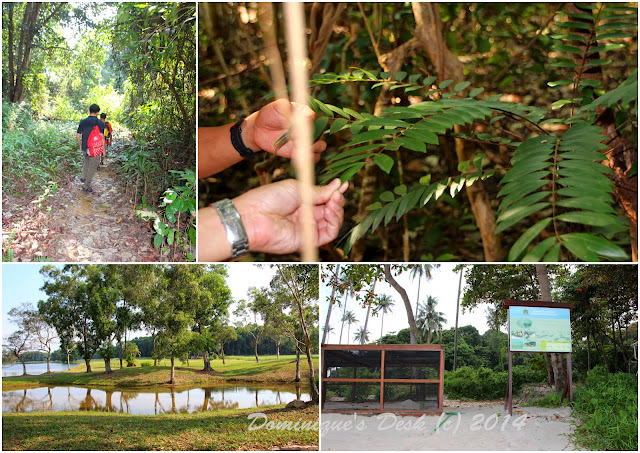 We were excited to be off on our first family adventure week on the island of Bintan. Even though the ferry ride only approximately an hour and the bus ride from the terminal to the hotel 15 minutes, Tiger girl was totally exhausted when we arrived. We took the last ferry on a Friday night as the ferry tickets were booked out for Saturday morning and we didn’t want the kids to miss out on the activities that were lined up for them on Saturday. We arrived at the hotel close to 10pm and checked into the room before proceeding to the Lotus Cafe for a late dinner. We were given a one bedroom suite with an extra bed for the five of us for our stay. The room was rather cozy and simply decorated. The other side of the living room with the pantry area. 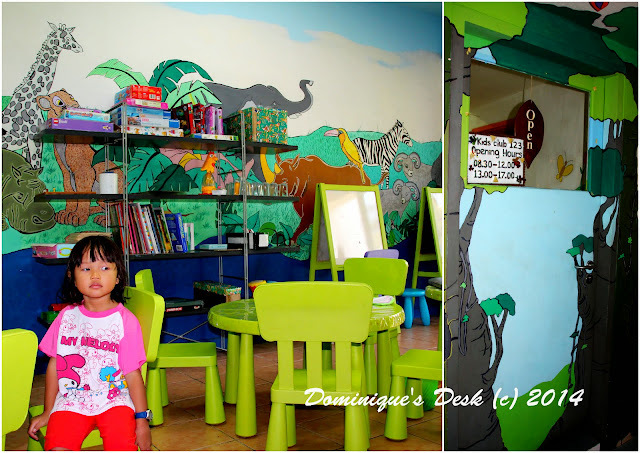 I love the fact that the room was big and roomy and the kids had lots of space to run around in it. The kids were happy that there was cable TV and they could watch their favourite cartoons when they were relaxing in the room. 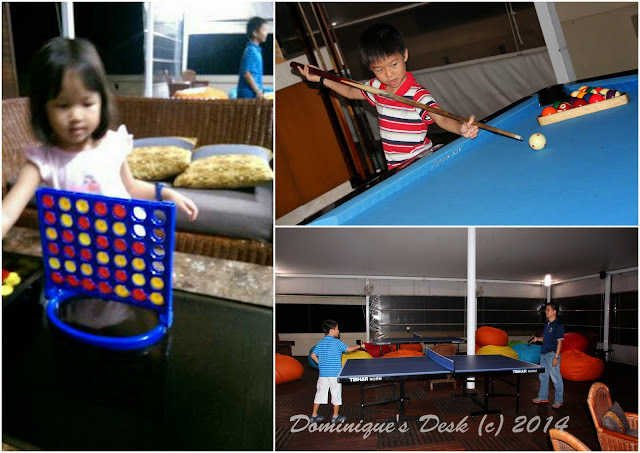 The kids were wide awake after the late dinner so we checked out the Recreational lounge which was a few doors down from our room. The boys had a round of snooker and ping pong while the girl and I played connect four. I love the cozy set up of the room with bean bags on one side and sofa sets on the other. There were also other board games available to play but we didn’t manage to try them out as it was nearly midnight when the boys decided to call it a day. Everyone woke up bright and early as the first activity for the boys was to start at 9.15am. 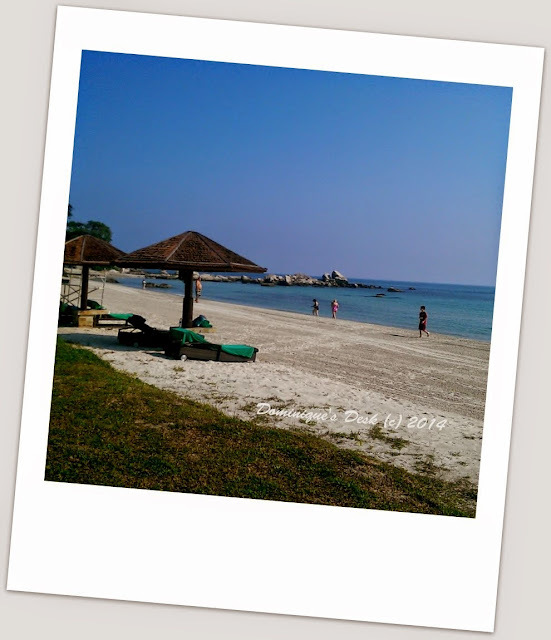 We took a stroll around the hotel grounds to the beach before heading to the Lotus Cafe for a buffet breakfast. 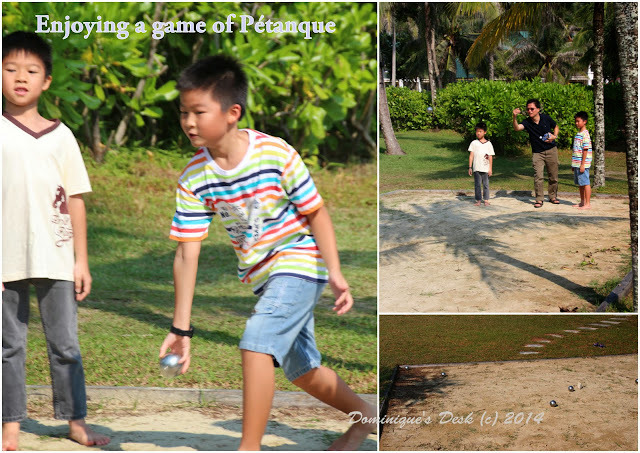 The boys spotted this pit and had their first game of this French sport- Petanque. They had to throw the metal balls as close as possible to the marker. The person who is the nearest would be the winner. The boys had some Team building games which included a Treasure hunt and jungle hike that Saturday. We dropped them off in the lobby and went off with Tiger girl to enjoy the rest of the morning at the pool. The little girl was extremely happy to be in the water and we spent many hours swimming from one part of the pool to the other. There was colored balls available for loan and she had fun playing with the balls with the other kids in the pool. The kids were starving by lunchtime and hungrily tucked into the buffet spread that the hotel had before we went our separate ways again. Tiger girl was happy to be playing in the air-con comfort that afternoon. We checked her into the Kids club where she had fun playing with the kitchen sets and other toys that they had to offer in the room. She also did some coloring and made a butterfly from recycle material which she proudly showed us when we returned to fetch her after our nature walk. We spotted the kids and their camp leaders at the beach after our Nature walk. They were attempting to build a bridge using the planks to get across the moat that they had created. I was observing them from a distance and could see that the kids in the group were all enthusiastically carrying out the instructions that they were given while working together on the project that they had been assigned. The day ended off with a Beachside BBQ at Pantai Grill where we tasted their succulent meats and seafood that were on offer. The setting at the beach was really romantic. It was another day of fun in the sun on Sunday as the boys and us headed off to the beach for our activities. Tiger girl chose to stay in the kids club and enjoy playing with the toys there. 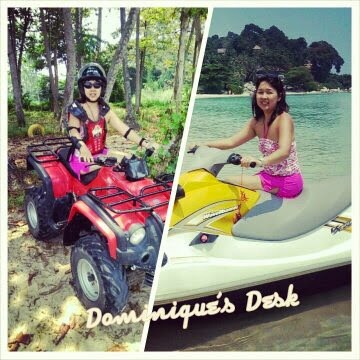 It was the first time that R and I rode on the Jet Ski and ATV. The last time that we did outdoor sports as couple was during our honeymoon in Thailand 13 years ago!! It was really great to be finally able to enjoy these fun activities together. Having the wind in my hair as I raced with R on the water was a unforgettable experience. I’m not really into these extreme sports but gamely tried them with him. Bystanders watching us would be thinking I was having loads of fun while in actually I was half the time trying my best not to go too fast least the jet ski flip and overturn on me. It was a really fun and adventurous weekend for the whole family and everyone enjoyed themselves. 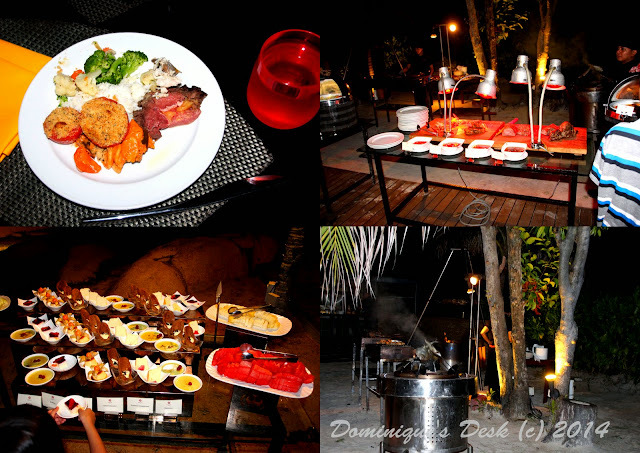 The service at Angsana Bintan was top notch and we enjoyed the activities and food that they provided. Doggie boy enjoyed the Beach Archery activity the best while Monkey boy enjoyed his swim in the clear blue sea. I love the fact that I was able to have fun as a family, a couple and also had some me time for myself that weekend taking pictures with my DSLR. 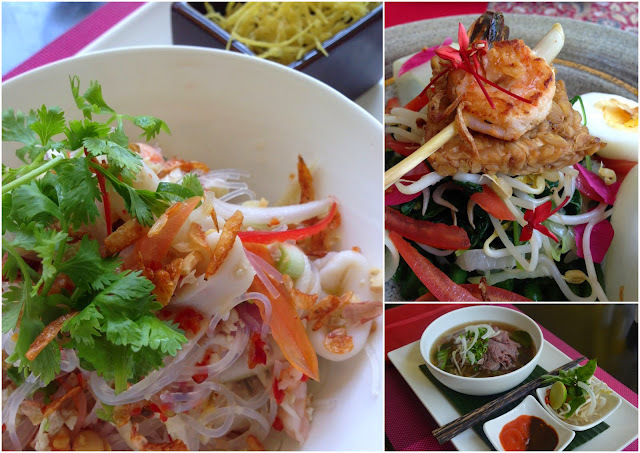 For the month of October the Lotus cafe at Bintan Angsana will be featuring South East Asian specialties. Signature dishes from Thailand, Vietnam, Laos, Malaysia, Indonesia and Singapore will be available to whet your appetite. 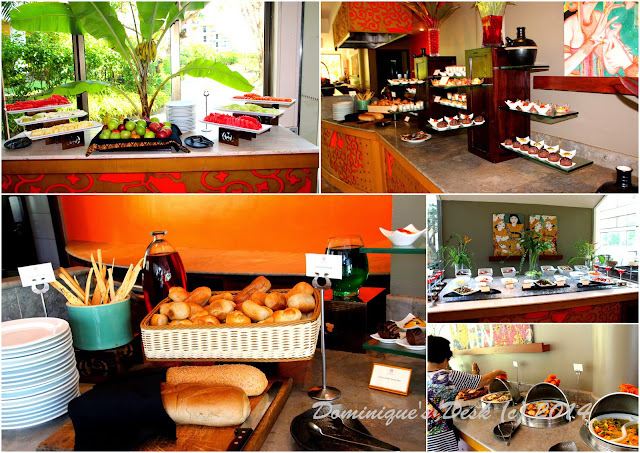 Do give the foods a try if you intend to stay at the Angsana Bintan . 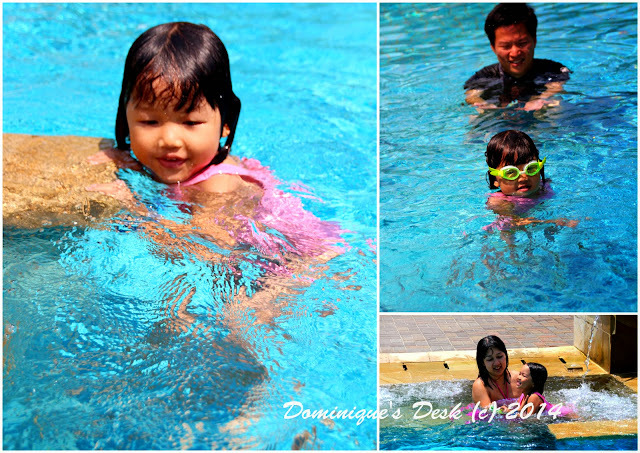 Disclaimer: We were invited to Angsana Bintan for a fun filled weekend and to try out their Family Adventure Package. All opinions are 100% my own. During our road trip in Malaysia we stopped by Port Dickson on the way back and checked into the Avillion Cove Hotel for a night. The view from our hotel room was really spectacular. We were given the top floor of the hotel and I could enjoy the majestic sunset just looking out of the window. For a moment it seem that I was in some far off country gazing out of the window looking at the serene sea below. The kids however were less keen in the view from the window. They were more keen to check out the room instead. To be more correct they were more interested in unpacking our luggage and looking for their swim suits so they can hit the hotel pool.